The Advanced Medical Technology Association (AdvaMed) has responded to the ‘Implant Files’ investigation, stating the stories “overlook” the positive experiences of millions of patients. The global investigation, led by the International Consortium of Investigative Journalists (ICIJ), looks into the lax regulations surrounding medical devices. In particular, it states that over a 10-year period medical devices in the US have been related to 83,000 deaths and more than 1.7 million injuries. The investigation also revealed that medical device company Johnson & Johnson has alone paid out $4.3 billion to US patients who claim they were injured by defective hip implants, mesh and surgical staplers. Now AdvaMed, a trade association group with members including Johnson & Johnson and Medtronic has responded to the investigation. "One of us will inevitably face a moment where we will hope for a miracle to make a child, sibling, parent, grandparent or loved one well again. Whether it’s a pacemaker that keeps a heart beating, an implant that allows a child to hear for the first time, or an artificial knee that allows a grandmother to play with her grandkids, medical devices are the foundation of modern medicine, providing physicians and nurses the tools they rely on to improve patient care. "We should never discount any patient's experience. But by magnifying the stories of only a few individuals, we overlook the overwhelmingly positive experiences of millions of others. We take seriously all reports of patient impact, and though the medical community can never completely eliminate risk, we always strive to improve our technologies and care delivery. “As we do that work, we recognise why we developed these technologies in the first place: to address the critical, debilitating, and often life-threatening needs of patients who are desperate for solutions—who need a miracle,” the company said in a statement. 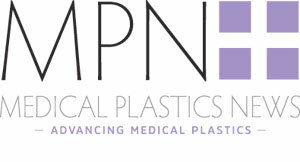 Medical Plastics News contacted campaign group Sling the Mesh for a response to AdvaMed’s statement. Sling the Mesh has been a staunch advocate for better regulations surrounding medical devices, campaigning for improved guidelines for vaginal mesh implants. The group includes over 7,000 global members suffering from both pelvic and hernia mesh complications.